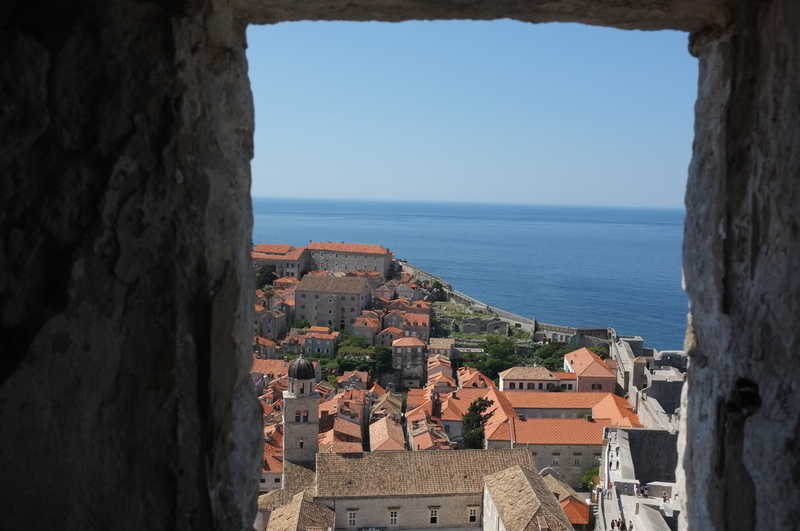 The wall was built in the fourteenth century and has been rebuilt several times. 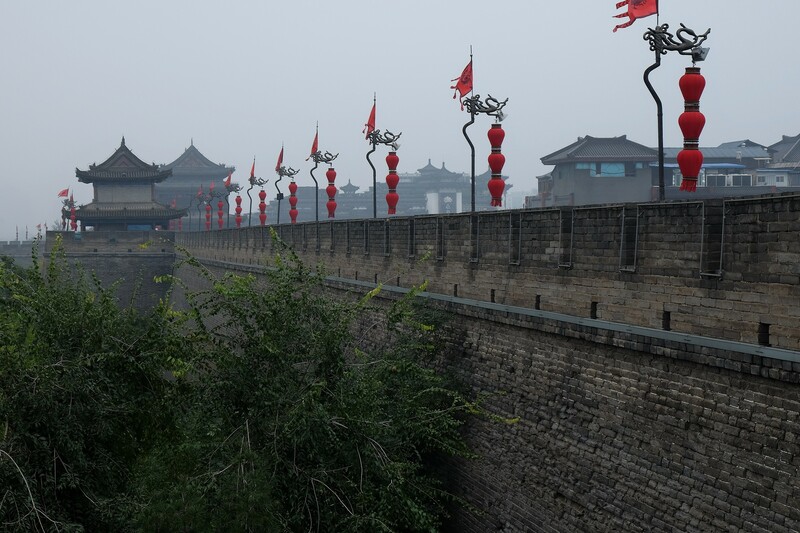 This is one of the most beautiful, largest and well preserved Chinese fortified walls. 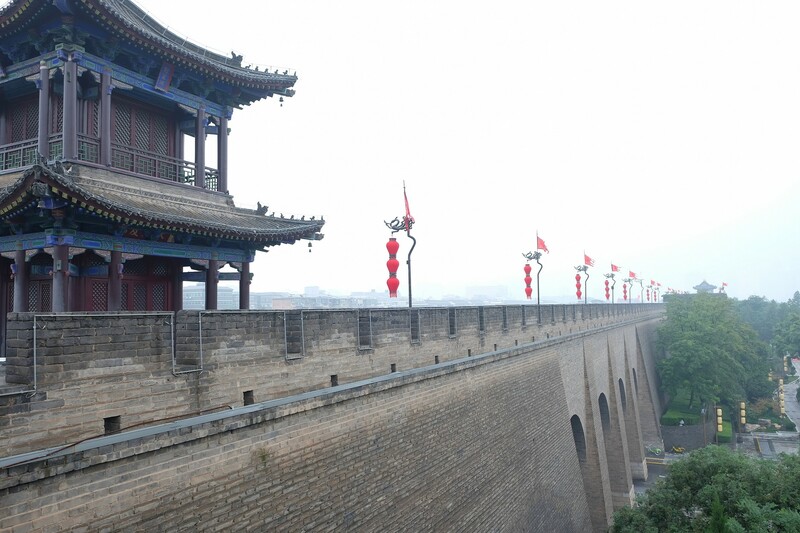 At the top, the wall is wide at around 50 feet. On plan, the wall is rectangular and enclosing a very large protected area of houses. To add to the beauty, the wall is surrounded by a moat. This week’s DP challenge is Curve. This castle in the Baltic is curve and rounded. The whole masonry wall is cylindrical with small windows. I especially like the texture of the wall which is so rugged and which gives the picture a special mood. There are so many things around us that remind us time is passing by, sometimes, too quickly. This wall at Lithuania reminds me that once it was newly constructed and painted. With the passage of time, the wall deteriorated. The paint came off, exposing the under-layers of plaster and down to the bare wall. The windows became distorted as well. The flowers give it a contrast, adding a bit of beauty to the aged wall.